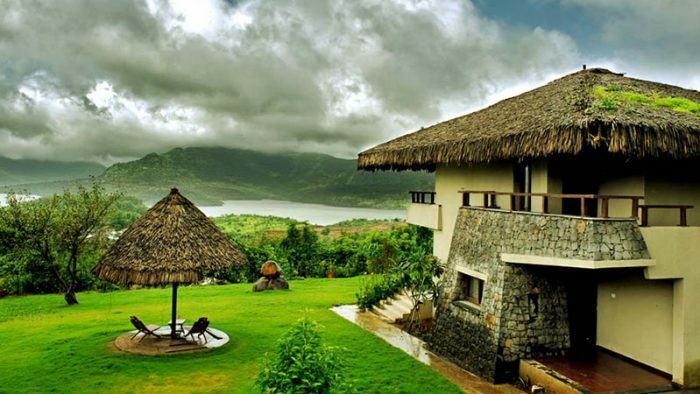 Nestled within the mountains, the Malhar Machi mountain resort is a resort in Pune for the perfect weekend getaway, yet suffered from a lack of awareness among the public. 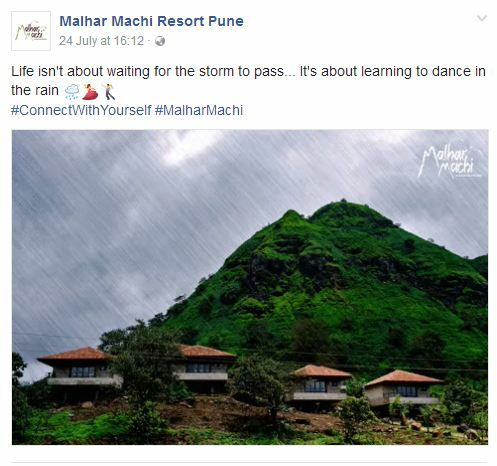 Malhar Machi began their latest social media marketing initiative with an aim towards establishing a dedicated digital presence in order to generate leads, and raise awareness around their resort and services. 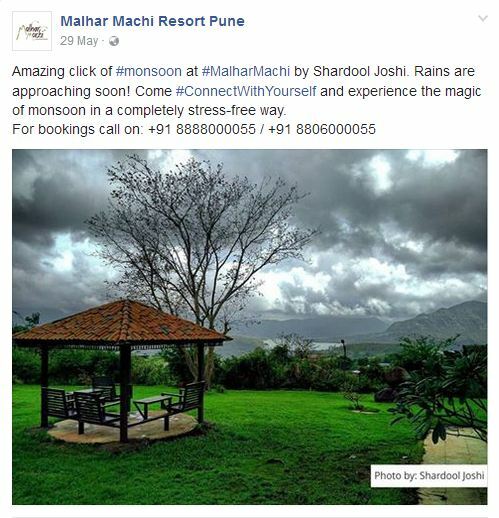 The campaign was split into two phases, #ConnectWithYourself and #MonsoonAwaitsYou, highlighting the beauty, serenity and natural appeal of the Malhar Machi Resort. 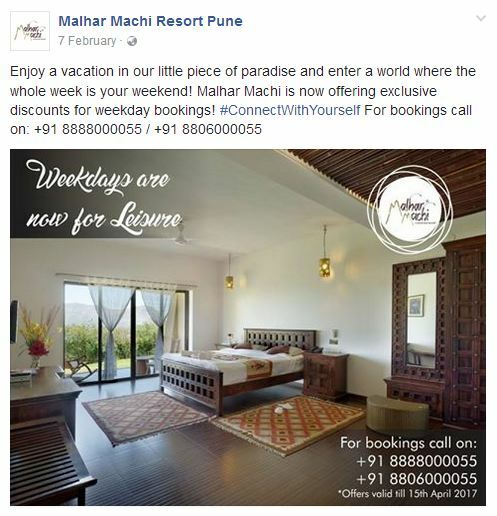 Actual images from the resort were used to generate awareness and interest among social media audiences, and also to familiarize them with the Malhar Machi brand and logo. 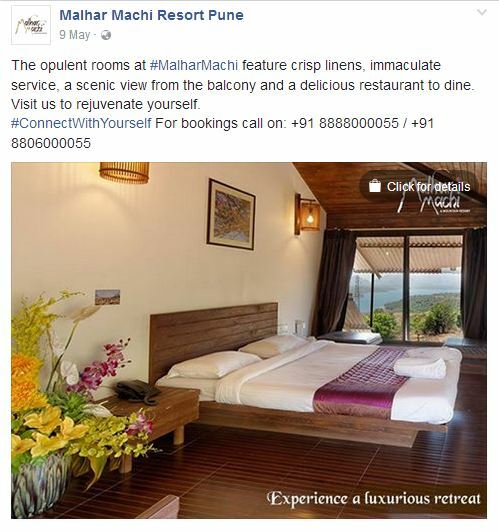 For the first phase of the campaign, #ConnectWithYourself, the resort’s alienation from the hustle and bustle of city lives and commotion was highlighted, promoting Malhar Machi resort as a place to unwind, relax and get closer to nature. Located on the mountains, the resort was the perfect place to beat the summer heat and this aspect too was highlighted with Facebook posts that showcased the beautiful swimming pools. For the second phase of the campaign, #MonsoonAwaitsYou, the resort’s beauty during the monsoon, under an overcast sky was promoted. 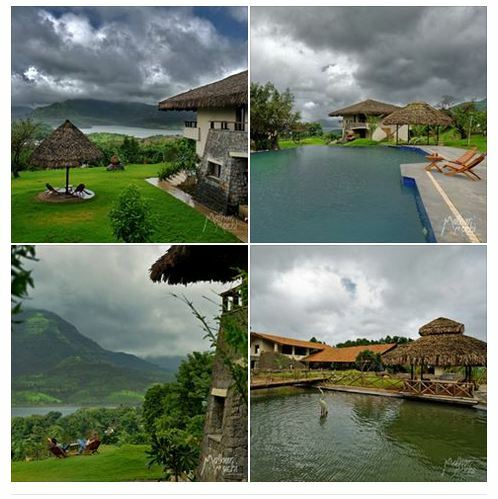 Picturesque captures of the lush green mountain tops were shared on Facebook, aimed at enticing audiences to come share this beautiful experience at Malhar Machi. 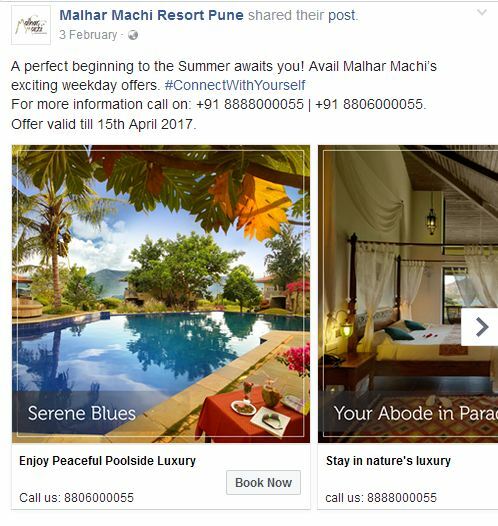 Carousel ads on Facebook were leveraged to advertise the services with actual images from the resort with a strong CTA button. 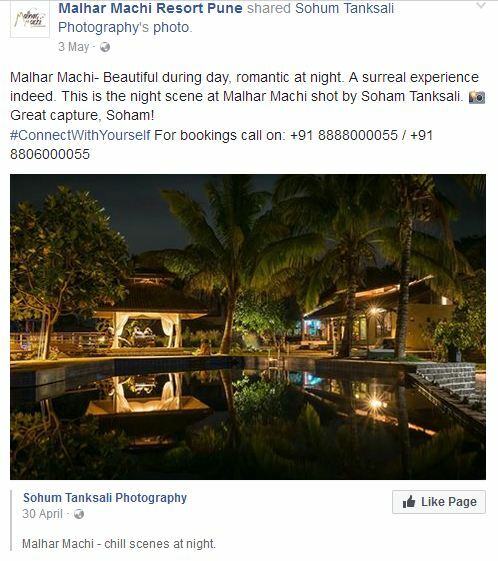 On a parallel note, Malhar Machi connected with their social media audience on a personal level by responding to their queries promptly. Also, Instagram images from patrons and guests were shared by the team for a library of user generated content that displayed their premises from various different points of view. 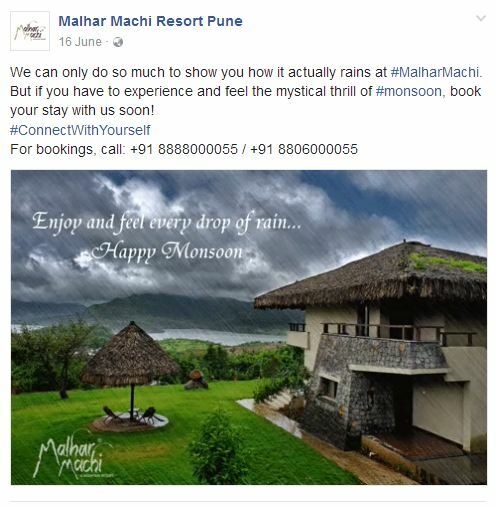 One of the best performing posts (below) that showcased the beauty of the Sahyadri mountains and the resort during monsoons, garnered a Reach of more than 109k with more than 16k post clicks and engagement of over 5k. 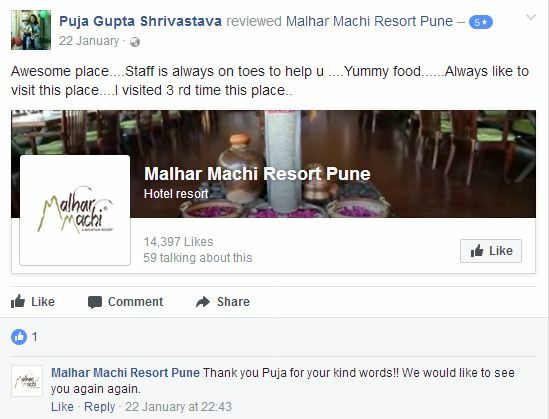 The second best performing post showcased one of the resort’s luxurious rooms, and garnered a Reach of more than 7k with over 62 post clicks. 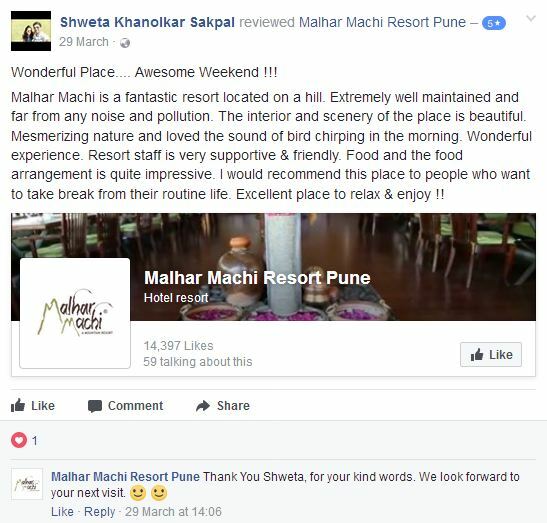 The social media activity also helped Malhar Machi resort raise awareness and connect with their guests, and other eager to visit audience. It also helped them receive tremendous positive feedback and ratings on Facebook. 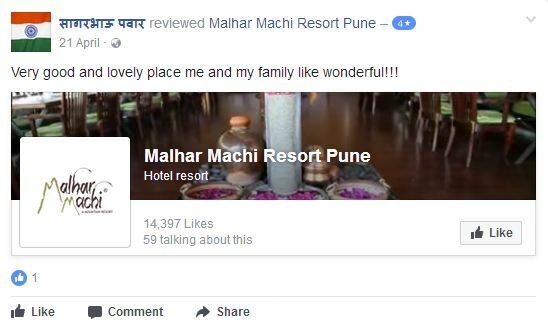 Malhar Machi Resort managed to create a strong social media presence with consistent efforts.